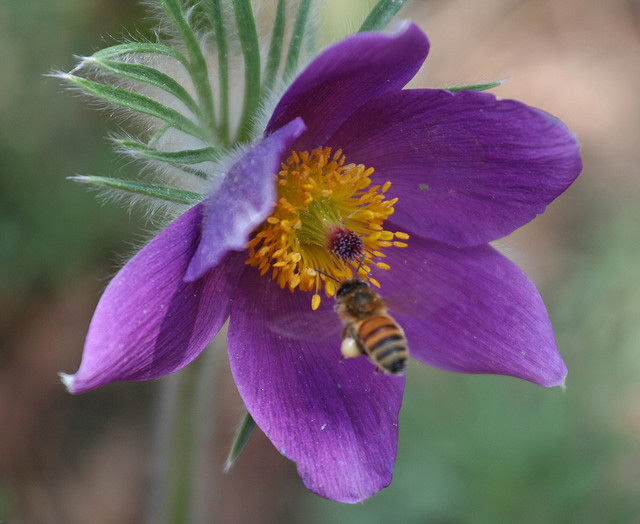 Pasque flower and bee; photo by Hillarie on Flickr (noncommercial use permitted with attribution / no derivative works). Pasque (or pasqueflower) is a solitary tallgrass prairie flower that grows wild throughout South Dakota. Also called the May Day flower, prairie crocus, wind flower, Easter flower, and meadow anemone, the lovely lavender pasque is one of the first flowers to bloom in the spring, often before the winter snows have thawed. 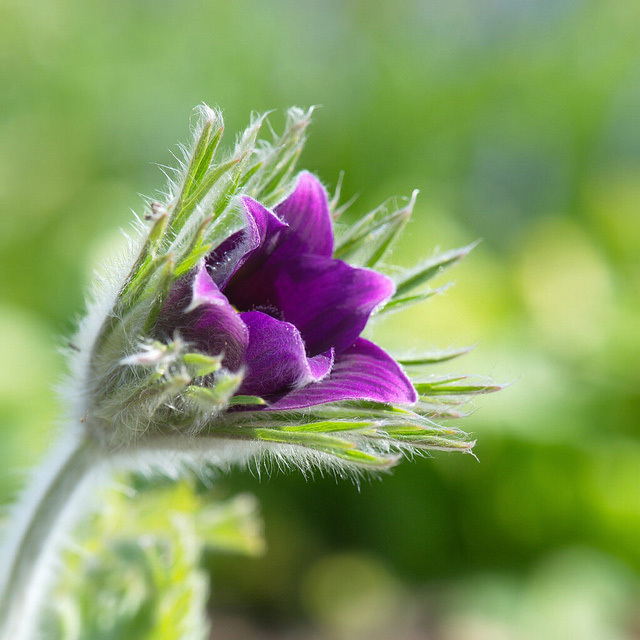 Pasque flowers were used as a medicine by Native Americans for centuries. The pasque flower is a member of the buttercup family and is highly toxic. 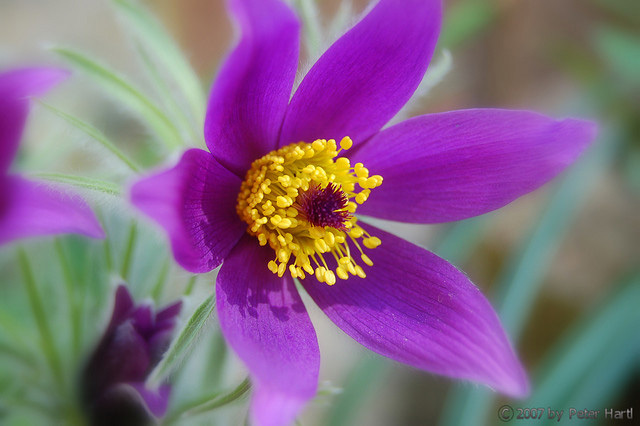 Some sources place the pasque flower in the genus Anemone, others the genus Pulsatilla. Pasque flower; photo by Peter Hartl on Flickr (noncommercial use permitted with attribution). Pasque flower blooming; photo by Serge Ninanne on Flickr (noncommercial use permitted with attribution / no derivative works). 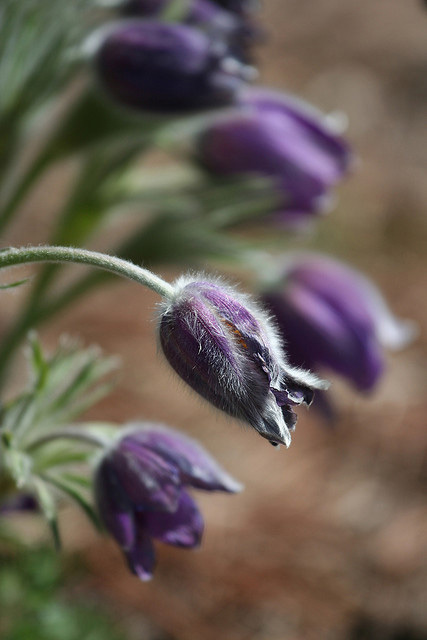 Pasque flower buds; photo by Hillarie on Flickr (noncommercial use permitted with attribution / no derivative works).